Governments must abide by the existing laws that protect indigenous and local communities who are stewards of key natural resources from which all humankind benefits, a United Nations human rights expert told the UN Conference on Biological Diversity on Thursday. “The law is clear. Governments do have obligations to protect the environment and human rights. 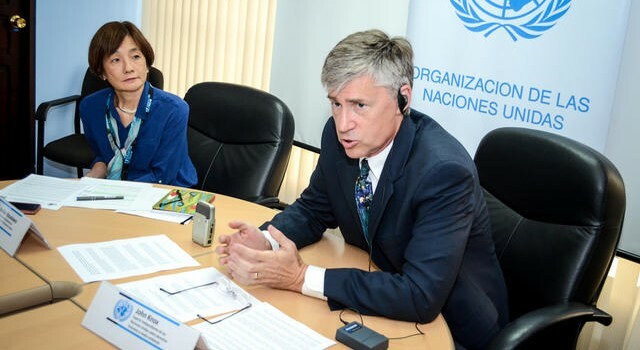 The norms themselves are fairly well established, but there is an implementation gap,” said John Knox, Special Rapporteur on Human Rights and the Environment at an event being held on the sidelines of the 13th Conference of the Parties of the Convention on Biological Diversity (CBD), also known as COP 13, in Cancun, Mexico. “The laws exist, but the problem is that many governments simply do not comply with their obligations towards indigenous peoples. They don’t do enough to protect and promote their rights,” he added. Knox also noted that governments should also respect the rights of local communities that are not indigenous groups. He stressed that these communities need to be consulted and should participate in decision-making that affects them, but pointed out that many times they are marginalized. Knox was speaking at a side event where various experts highlighted the crucial role that indigenous peoples and local communities play in conserving biodiversity. Their traditional knowledge and skills is considered invaluable in ensuring food security, creating medicines, and sustainably managing the world’s resources. He emphasized that while it makes social and economic sense to protect this communities, governments should also do this because it is the law. In addition, he highlighted the need to protect the rights of indigenous and local communities that are opposing projects supported by their governments, adding that more than 100 have been killed this year alone defending their land and resources. He added that international organizations and civil society must amplify their voices and work together to shine a light on the plight of these communities.